As UK pensioners face an increasing lack of funds in their retirement more retirees are turning to equity release to pay for everyday bills and existing debts. For many, equity release is no longer seen as a way to live comfortably in retirement, but more of a way to survive it.It is possible to use equity release to pay off your debts, but this method of finance is not for everybody, so it is worth asking yourself these few questions first. 1)	How Old Are You? 2, Have You Paid off All of Your Mortgage? 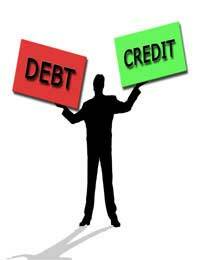 3, How Big Are Your Debts? 4, Have You Looked At Other Options? Not only does it sound like you are too young for equity release, it also sounds like it would be too big a financial risk for you to take. If you are struggling with mounting debt your first port of call should be to speak to the Citizens Advice Bureau, or go and see a financial adviser. It may be that equity release is not the best option, especially if you are still paying off your mortgage. If your debts outweigh the amount of equity you have in the property it sounds like you could be in a serious financial situation and the sooner you seek help the better. From your answers it sounds like equity release could be a viable option. Ideally it would be better if you wait until you have paid off your entire mortgage as the majority of providers will expect you to be mortgage free. If you are over 55 and retired and have no other means of paying back your debts equity release could be an option. It is normally a good idea to take out as little as possible from the property, so you have still have something to fall back on. It sounds like equity release could work for you. If you are over 65 and mortgage free, you will certainly be eligible for the various equity release schemes that are available. Before you leap head first into withdrawing the equity from your home though you should look at what plan would suit you best. If you are using the money to pay off monthly bills a drawdown plan could be best, as this allows you to withdraw the money in stages and not in one lump sum as is the case with a lifetime mortgage. With a drawdown mortgage you can also plan for how much you want to withdraw from the property and at what stage you are likely to need the money. Using equity release is a great way to pay off some of your debts without raking up more debt in retirement. It is important though that you look at all our options, although using equity release may seem like the easy way out of your debts you will also be giving up a stake in your property which is a large sacrifice to make.